Orange has officially launched its latest branded Android handsets in the form of the Orange Barcelona and the Orange Stockholm. They follow in the globe-trotting footsteps of the super successful Orange San Francisco which was the toast of budget Android handsets last year. The Barcelona, which has been up on Orange's shop for a while, comes with a capacitive touchscreen with Orange's bespoke gesture interface, a physical QWERTY keyboard and a 3.2MP camera. Unfortunately it doesn't come with Gingerbread (Android 2.3), opting instead for the lower-spec Froyo (Android 2.2). Other Spanish-flavoured goodies include HD Voice, Orange Signal Boost, push email and a very attractive price tag of £100 on pay as you go and £10 per month on contract - that's actually lower than the network had originally advised. 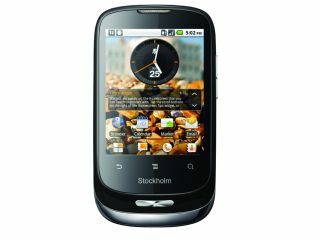 Meanwhile the capital city of Sweden lends its name to the Stockholm, a lower-priced handset with a 3.2MP camera, 2.8-inch QVGA touchscreen, MP3 player and FM radio. The Stockholm comes in at £80 on pay as you go, but you'll have to top up £10 of credit when you buy it too. There doesn't seem to be a contract option, so no chance of developing Stockholm Syndrome as you're held hostage by the network for two years… Anyone? No? Oh whatever. Both handsets are available from Orange with a UK release date of today.